Please note: this tube is now obsolete and has been replaced by part number 8103661. Contact us on 0141 771 7749 for more information on this tube. 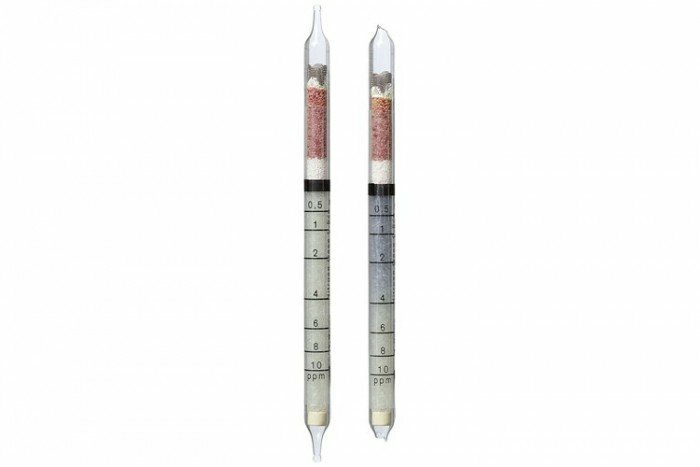 Use these Drager short-term detection tubes to detect Nitrous Fumes and a range of other substances including Hydrobromic Acid and Nitrous Fumes (0.5/a). They have a measurement range of 0.5 to 10 ppm and come in a pack of 10 tubes. These tubes have a shelf life of 2 years. In case of nitrogen dioxide in concentrations above 300 ppm the indication layer can bleach. Chlorine and ozone are indicated as well, but with different sensitivities.